Senggigi region is a major tourist destination on Lombok island in Indonesia. Senggigi is well known as a tourist center in Lombok island, with beautiful beaches and the landscape was very interesting to visit. Along with the increase in tourist arrivals to the island which is followed by the airport was moved from Mataram to Praya, of course, requires a longer journey to get to the central tourist area of Senggigi, so to overcome such problems, in particular the government create a port that is used as a transit point for fast boats from and to Bali, Gili Trawangan and Lombok directly because in general, a holiday in Bali or in Lombok is not complete without visiting the neighbor islands. 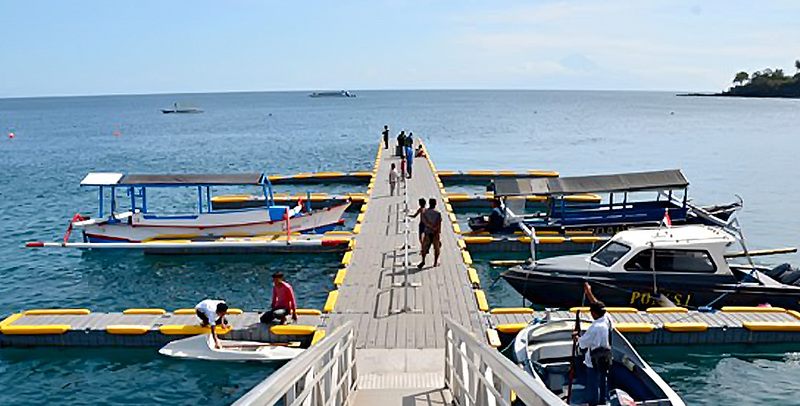 Senggigi port operates normally start from 09.00 pm till evening everyday with the intention of Bali and Gili Islands. Ports located right in Senggigi beach area, if you stay at the hotel located in Senggigi area then you can go to the port to just walk away/on foot. To facilitate your trips, you can use the travel services offered along the road leading to the Senggigi beach, be awarded fraud. for a quick and easiest to get fast boat ticket, we recommend you to order tickets on our website because we offer a relatively cheap price with outstanding services.